OK Tedi Mining Limited will announce a good profit for this year despite some setbacks in the last two years. Prime Minister Peter O’Neill said this during question time in Parliament last Friday. 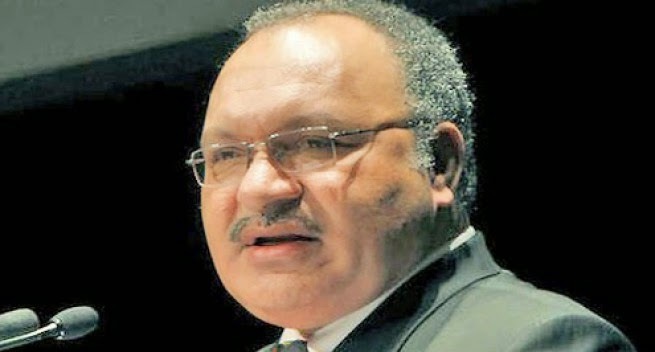 iscussions with Kandep MP Don Poly asking the PM about contracts awarded to non-landowner companies, the alleged involvement of companies linked to him, the operations of the mine and non declaration of profits by the Ok Tedi mine since the government took full ownership of the mine’s operation last year. Mr Polye asked the Government to provide reasons as to why it wasn’t paying dividends to its shares. Mr O’Neill rebutted Mr Polye’s claims stating that there are two main reasons why the company wasn’t in a good position to declare a dividend. “First of all, the company had been concentrating more on its operational issues relating to the environment assessment work being carried out at the site, as this is very important. “The other reason is that the company had to make huge pay-outs to its employees who were formerly under the previous ownership when the Government took over,” Mr O’Neill said. He also assured the parliament that Ok Tedi is operating well under its new ownership and that the interest and welfare of the landowners are also being taken care of. “The people of Western Province will have major shareholdings on top of the 2% that they are currently entitled to. “The Government is ready to give 19% of the company’s share to the people of Western Province and this is free carry,” the PM added. Meanwhile, the mine is operating at a stable pace and minor issues between the Ok Tedi landowners and various stakeholders are slowly being resolved.